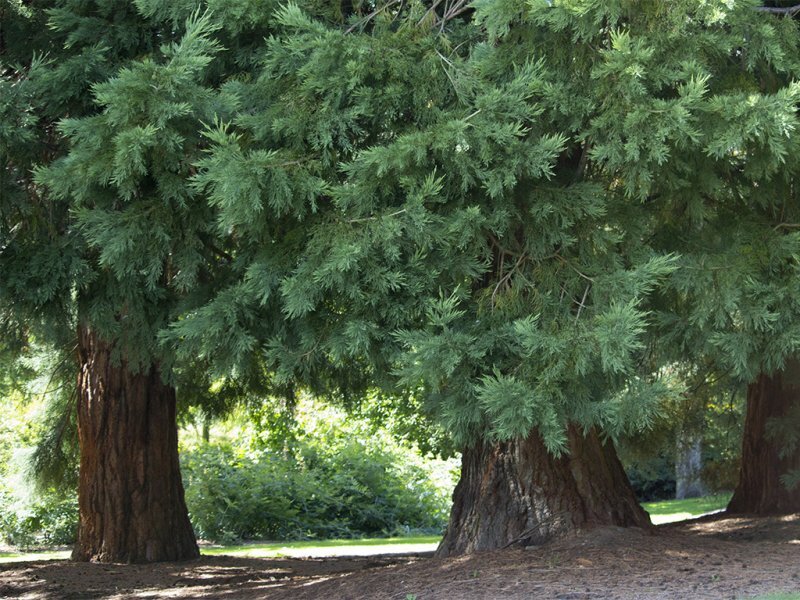 Thanks to Peggy for the above photograph of two of the four Giant Sequoia in the University of Dundee Botanic Garden. Peggy also spotted two Coast redwood and two Dawn redwoods. She said; "As you enter the garden after the admissions office, the first trees you see where the path diverges are three Sequoiadendron giganteum to the left of the path, one Sequoiadendron giganteum across the path, two Sequoia sempervirens to the right of the path and straight in front of you a Sequoia sempervirens "adpressa," a variety with smaller cones and compact needles. Behind you, on the way in, is a Metasequoia glyptostroboides and another within the Evolution Garden, a magnificent section recently completed containing many interpretive signs and specimens explaining the history of plant life on Earth. Coordinates for the center of the redwood collection are: 56.455716 -3.022817 or GPS N 56 27.343 W 003 01.369." 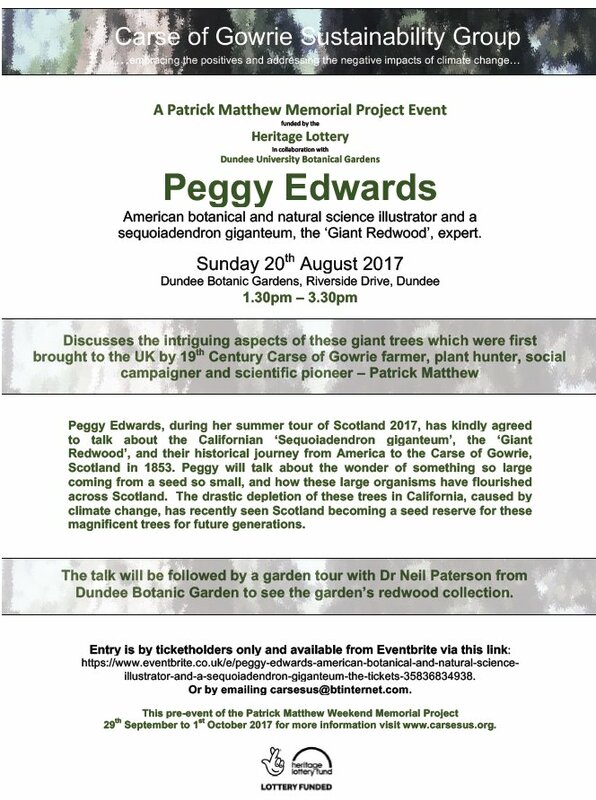 Peggy conducted a talk at the Botanic Gardens on Sunday 20th August 2017 on Redwoods. She spoke about; "the three types of redwoods, the history of the coast and Sierra redwood discoveries in California, the race to get the seeds to the UK, the location of the Patrick Matthew redwoods today, other redwoods in the UK, the UK redwoods as a potential ex-situ tree source as climage change affects the native groves, and future threats to the trees such as a politician's desire to reduce the nation's national monuments some of which contain redwood groves." The flyer for this event is shown below .